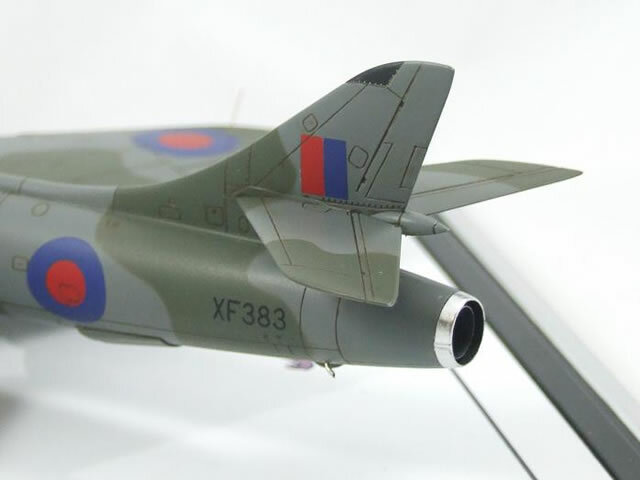 This model has been produced from the Revell 1/72 scale Hawker Hunter F Mk 6. Ordinarily I confine my modelling to 1/48 scale and above but the mass of favourable reviews received by the kit, coupled with the need to find a quick-build project to enter into the September round of the Lincoln Model Club (UK) competition prompted me to have a go at it. 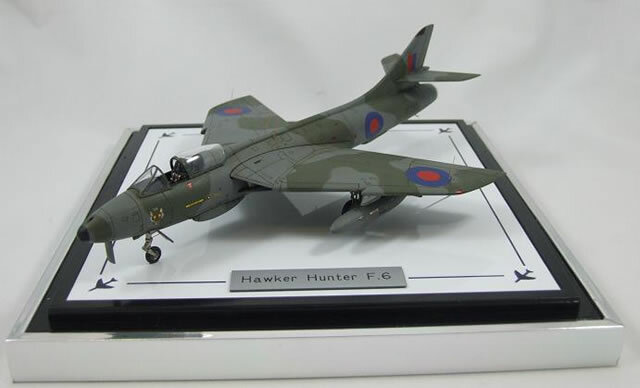 Revell's Hunter kit is a triumph of plastic model manufacturing with its crisp detail and near-perfect fit of parts. 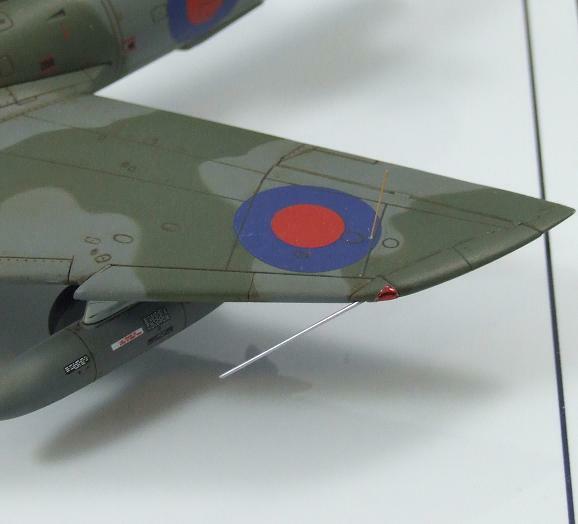 I hope you'll agree that the finished model looks every bit a Hunter with the magnificent lines of Sir Sydney Camms design captured beautifully. 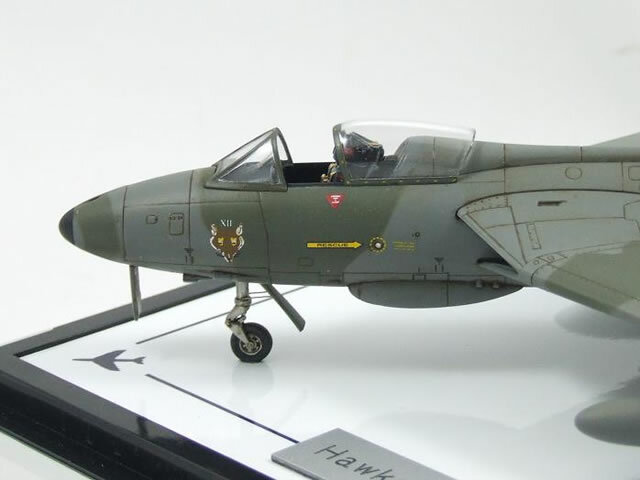 So impressed was I with the kit, that I have since built another F Mk 6 in Royal Netherlands Air Force markings and an FGA Mk 9 in Zimbabwean wrap-around camouflage. 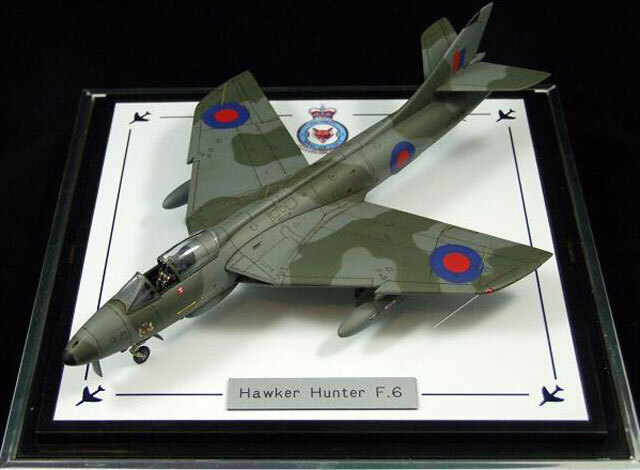 This example was finished in the very purposeful RAF wrap-around scheme applied to 12 Sqn aircraft during 1984, when they were acting as replacements for the squadron's grounded Blackburn Buccaneers.